The company clarified that the announcement will not have an impact on the company’s revenues from operations of the plant. "The company has been informed by the USFDA, in correspondence dated March 13, 2019, received today (March 21), that the inspection from December 10-18, 2018 at the Jubilant Generics Limited API manufacturing facility, in Nanjangud, Mysore, has been classified as OAI," the company said in a press note to the exchanges on Friday. The USFDA also stated that the facility might be subject to a cGMP regulatory or enforcement action based on this inspection and that FDA could withhold approval of any pending applications or supplements in which this facility is listed, the company said. The company further clarified that the announcement will not have an impact on the company’s revenues from operations of the plant. "As per the agency’s internal procedures, the company can engage with the agency within 40 days to seek to get the decision downgraded from the OAI classification. In that regard, Jubilant is in the process of sending a further update to USFDA of its corrective actions regarding the agency’s inspectional observations from December 2018," the company added. 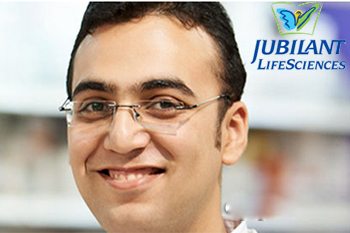 Jubilant Life Sciences Ltd's share price is currently at Rs765.45, down by Rs9.8 or 1.26%, from its previous close of Rs775.25 on the BSE. The scrip opened at Rs769.70 and has touched a high and low of Rs769.70 and Rs755.25, respectively. So far, 6,40,147 (NSE+BSE) shares have been traded on the counter. The current market cap of the company is Rs12,349.73cr.